A few days back I got hold of a game I have been hearing good things about for a while but haven’t had a chance to try: Dominion. 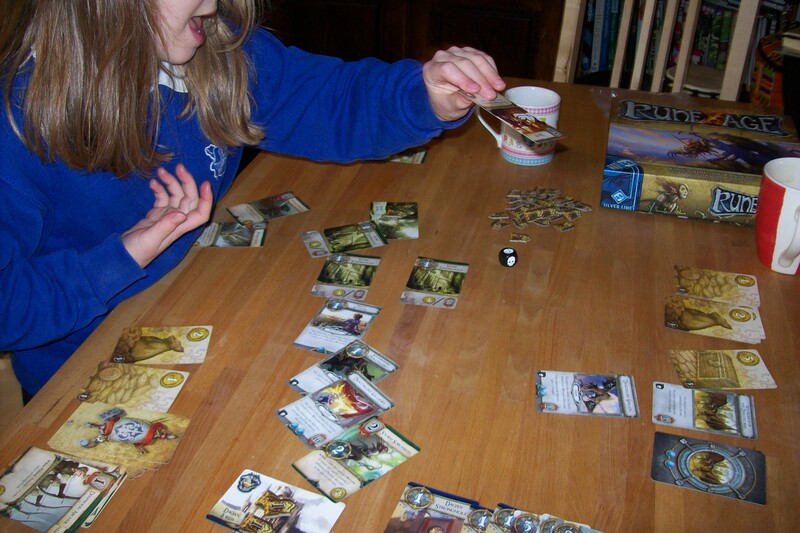 It has been around a few years now and seems to have kicked off a new style of gaming: deck building games. My early experiences with the game are great: it plays quick and slick, and is full of juicy options. 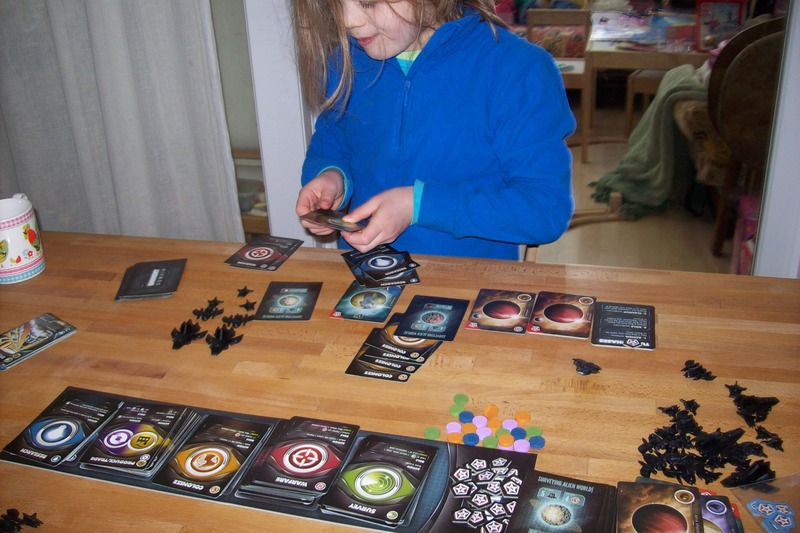 There are three-million-odd setups for the game and if they lose their lustre, several expansions are out there adding new cheese to the old cracker. So now I need to work out how I can try this with Miss B. 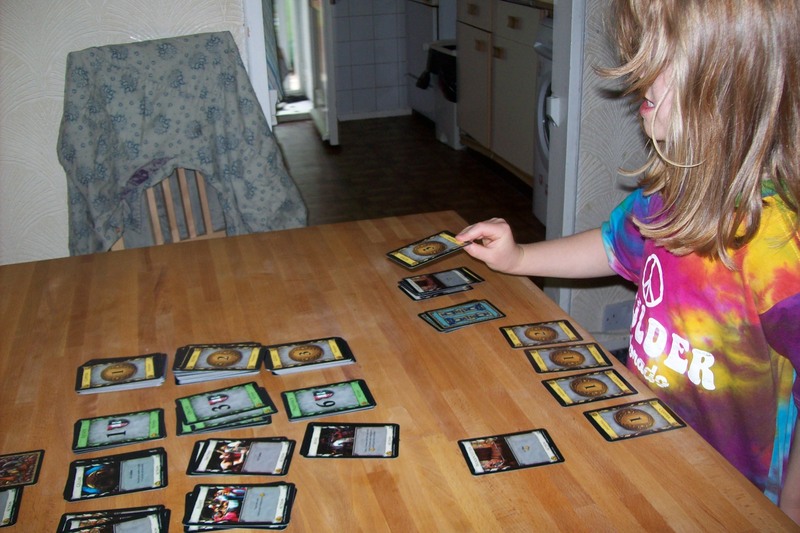 She helped me sort the cards out when we first opened it up and was very interested in the whole thing, asking me about what the cards were. So I think I am going to have to dream up a simplified version to play with her. It probably doesn’t need to be massively simplified, but fewer options would seem sensible. And we need to reduce the amount of shuffling: small hands are not great with shuffling and tend to achieve the desired affect by making use of the floor. Something like the Leicester shuffle. I’ll report back when we have something working. So man is the deadliest? What about ladies?